A postmodern novel that challenges the conventions of genre, form, and narrative and explores fundamental questions of reality and identity. Hopscotching over centuries, Cloud Atlas likewise jumps in and out of half a dozen different styles, all of which display the author's astonishing talent for ventriloquism, and end up fitting together to make this a highly satisfying, and unusually thoughtful, addition to the expanding ‘puzzle book’ genre...but the puzzle of Cloud Atlas isn't in the book, it is the book … What all these stories have in common is that each draws its lifeblood from the same heart of darkness. 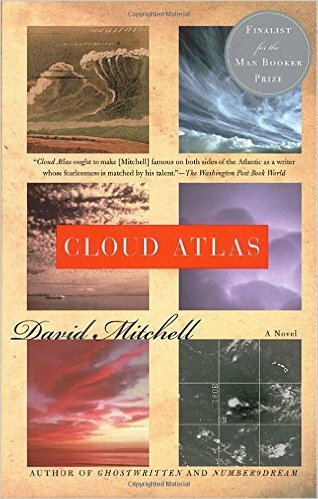 Cloud Atlas is a work of fiction, ultimately, about the myriad misuses of fiction: the seductive lies told by grifters, CEOs, politicians and others in the service of expanding empires and maintaining power. Mitchell's book seemed like everything I couldn't do. It's a nested box of stories, each one a virtuosic performance in an entirely different style from the last … Civilization as we know it ends, in the novel, and the center section is a post-apocalyptic folktale in which only fragments of language and culture remain. 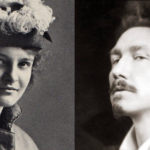 Then Mitchell picks up his abandoned stories, one by one, and tells what happened … The book isn't a cold display of cleverness: It has a heart, and a fierce intelligence and a single, recurring soul. Cloud Atlas imposes a dizzying series of milieus, characters and conflicts upon us...Each story is written quite differently – so much so that Cloud Atlas feels like a doggedly expert gloss on various writers and modes … The novel is frustrating not because it is too smart but because it is not nearly as smart as its author … To write a novel that resembles no other is a task that few writers ever feel prepared to essay. David Mitchell has written such a novel – or almost has. It its need to render every kind of human experience, Cloud Atlas finds itself staring into the reflective waters of Joyce's Ulysses. What did you think of Cloud Atlas?